The church of St. Nicholas in its present form was built in 1951-52, in the plans of Anastasios Orlandos, led by the late teacher C. Papadimitriou and personal work of the residents. In the same place was the old church of the village which was burned by the Germans in 1943. In the last few years, with the initiative of the priest Kimona Psoraki, started the decoration of the church. 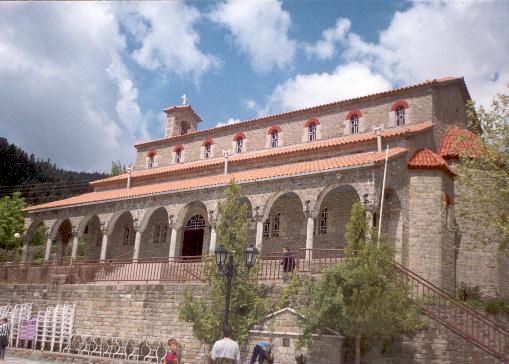 Surrounded by dense pine forest, to the north of the village, is the monastery of St. George. It was founded in 1690 about and was restored in 1714, according to the inscription located on the wall between the portico and the nave. In 1957 it was considered a preservable historical monument. In the years of Turkish occupation has been a spiritual and religious center, hearth supply and support of the population of the whole region of Tzoumerka. Fled here in the 1800’s the Souliotikes tribes of Mpotsari people. 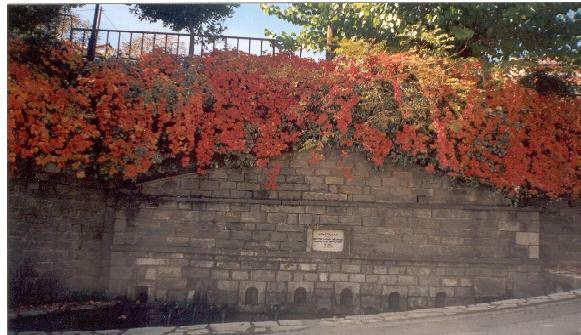 Here, gathered in the spring of 1821 the chieftains of Tzoumerka, of Radoviziou and Ksiromero to coordinate the war and to preach the revolution in the area of Arta. Here found shelter the people from Vourgareli when the Germans bombed and burned the village in 1943. In the last few years, thanks to the love and care of sister Polichronia, the monastery is kept in excellent condition and attracts many pilgrims and visitors. The Red Church or the Panagia Vellas is one of the most important monuments created during the 13th century on the Continent the glorious dynasty of Komnino. Located in the village of Palaiochori, 3 km south of Vourgareli. It was built in 1281, prior to the Parigoritissa in Arta, at the expense of Theodoros Tsimiskis, protostrator of the Byzantine Court. Is insert found a cruciform church with a single three-sided apse and a tripartite narthex. 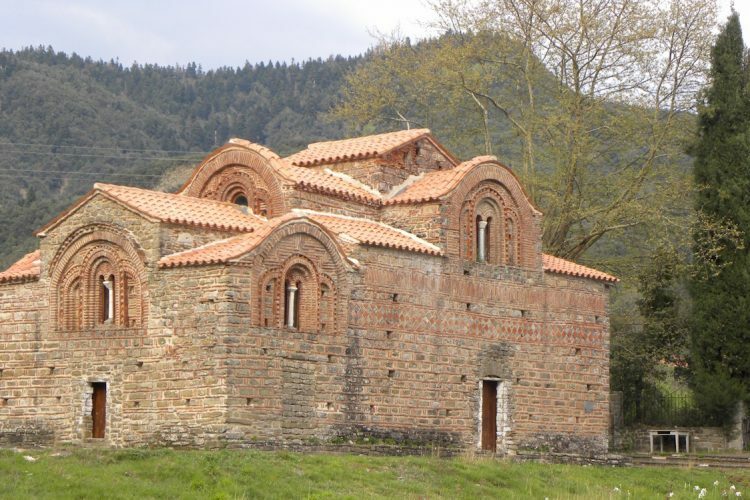 The academic Anastasios Orlandos mentions about the name: The name Red Church is obviously due to the snappily red color of the bricks, from which is made the blog of the temple. 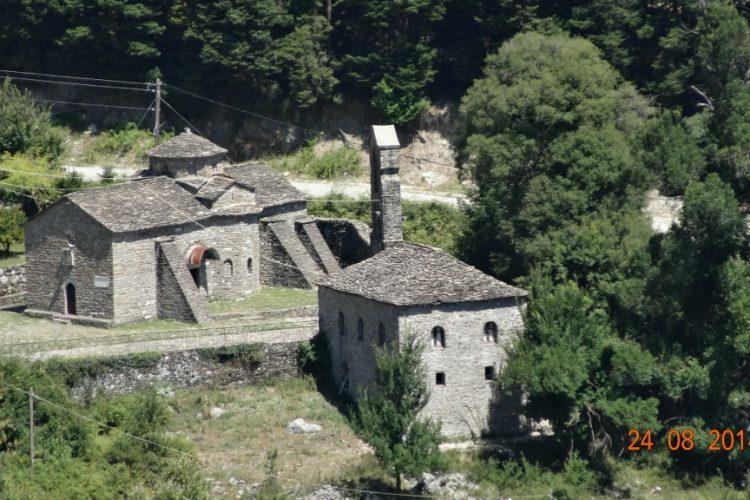 Panagia Vellas is not named because of the relationship with the diocese or of the monastery of Vella, a town in ancient Fotiki, despite the river Thiami. By tradition it is also called “vasilomonastiro”, probably because it was once the catholicon (main church) “royal monastery, when it was abandoned , it became a dependency of the monastery of Vella , from where and the name. In the frescoes which preserved in fragments with wear and tear, and date back to 1295, depicts saints and lay people, as the founders Theodoros Tsimiskis and his wife Maria, his brother Ioannis and his wife Anna, and despots Nikiforos and Anna. The temple is dedicated to the Nativity of Theotokos and celebrates on September 8. Uphill from the square, everyone meets the two ‘named’ fountains of the village. KRISTALO (photo) and ARHONTO. With a simple stone facade through the built-in marble channels give you day and night, unfailingly, the cold waters that came from the bowels of the mountain. Built in 1926, at the expense of the Cooperative, and by then rolling rapidly to water the trees and the animals, while it used to turn watermills. The tradition says that whoever of a stranger‘s drinking water from the taps is getting married in vourgareli. The newly weds will know more!! In short distance from the Vourgareli, about half an hour, is Acheloos. 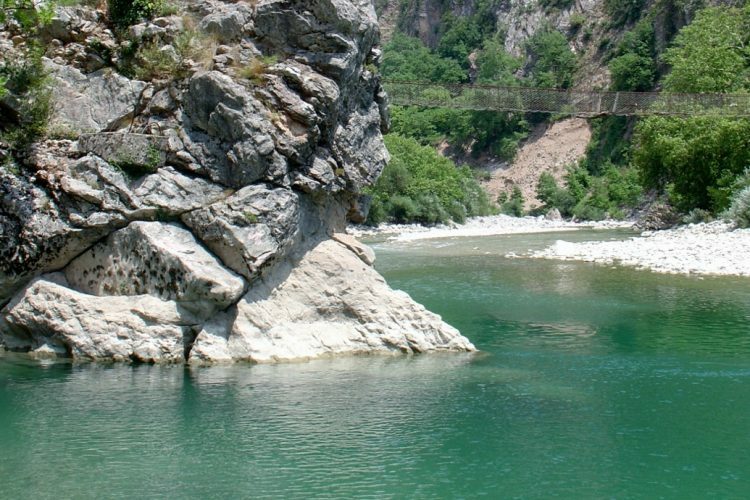 In Acheloos everybody can be involved with river sports or to combine a picnic in the river with fishing and swimming if weather permits it, to the natural pools formed in the summer months.